It was a tragic accident on the Interstate over three years ago that inspired survivor, mom and grandmother Ani Hudgens to create her Miss Buckle-Up Princess presentation that is now spreading the message of the importance of seatbelt safety to children and Hudgens is not done yet. She won’t rest until she continues the efforts and shares the story even further. Hudgens and Miss Buckle-Up Princess will host a booth at the upcoming 11th Annual FishHawk Area Networking Group Back to School Festival and Hudgens will give a 10-minute presentation about seatbelt safety with Miss Buckle-Up. But after encouragement from her husband, family and friends, Hudgens didn’t give up. Instead, the idea for Miss Buckle Up started to form. “And then a friend told me about the Florida’s Super Queen pageant in Orlando and I just knew it was the right event for me.” Hudgens had to talk to a panel of judges about her message:”Buckle-Up, Every Trip, Every Time” and in June she was crowned Florida’s Super Queen. 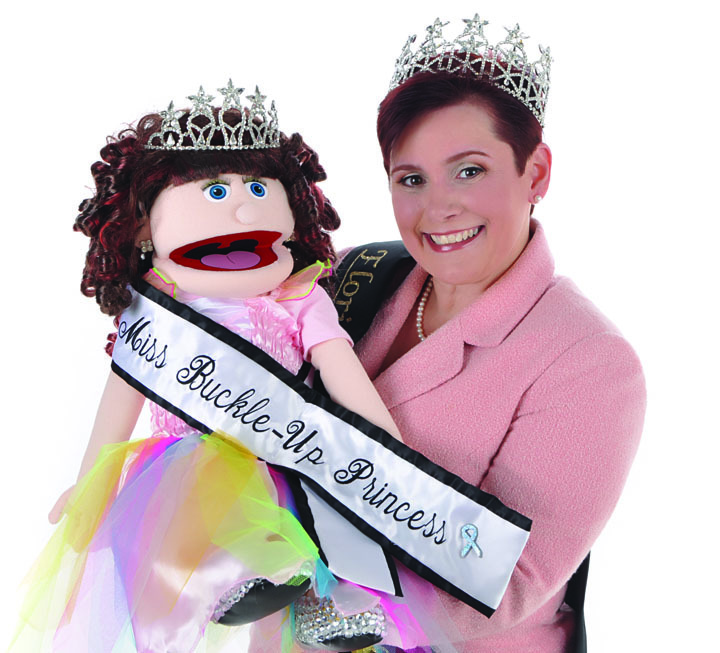 Now, the Queen and her princess, a puppet named Miss Buckle-Up, travel to pre-schools and elementary schools to talk to children about seatbelts. A key element of the seatbelt safety campaign is educating pre-school and kindergarten age children about the importance of riding in their car seats, booster seats or wearing their seatbelts. During the presentation, each child who participates receives a personalized Certificate – Buckle-Up Award, along with a Miss Buckle-Up Princess – Seatbelt Safety Team sticker. In addition to preschool students, a program is also available for first-fifth graders, middle school students, and teen drivers. For more information, call 446-2400 or email AVHudgens@yahoo.com.